The start of the new year is a time of looking back at what we have achieved in the past year and looking forward to the future. This period of remembrance and resolution may be challenging but it is both productive and rewarding. Acupuncture and Oriental medicine can help achieve the change you seek as it assists in illness prevention, stress relief, minimizes aches and pains, improves energy and nurtures balance. 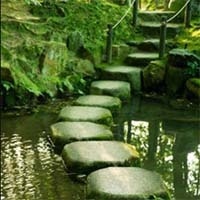 This calm and clarity strengthens your resolve as you take the next step in achieving your goals. Losing weight is the most common New Year's resolution. Acupuncture and Oriental medicine can help you reach your goal weight and maintain it by promoting better digestion, smoothing emotions, reducing appetite, improving metabolism, and eliminating food cravings--all of which can help energize the body, maximize absorption of nutrients, regulate elimination, control overeating, suppress the appetite and reduce anxiety. Stress reduction is always on the top ten list for New Year's resolutions and for a good reason; it is often the cause of illness and deterioration of health. Numerous studies have demonstrated the substantial benefits of acupuncture in the treatment of stress, anxiety and lowering blood pressure. In addition to acupuncture, Oriental medicine offers a whole range of tools that can be integrated into your life to keep stress in check. Find an Acupuncturist to see how Acupuncture and Oriental Medicine can help you keep your resolutions and prepare for the year ahead!